At Puente Hills Volkswagen, the certified technicians at our VW service center near Hacienda Heights, California, take the same precise care with Volkswagen repair as the automaker did with engineering your vehicle. Every Volkswagen mechanic in our service and repair bays keeps up to date on the latest and best diagnostic and auto repair techniques, so the work we do on your vehicle is tailored exactly to the issue at hand. We know how your Volkswagen SUV or sedan looks and sounds when it’s operating at peak performance, and we know what to do to keep it there. While we do our best to provide the routine Volkswagen maintenance essential to helping your VW Golf avoid damage, engine repair is sometimes necessary. Wear and tear, adverse road conditions, heavy traffic, and accidents can all take a toll. It’s good to know you can bring your vehicle to a place that has the skills and tools to get you back on track and running like new. Trust the VW factory trained technicians at Puente Hills Volkswagen to deliver expert transmission repair, brake service, and HVAC repair for your VW Beetle or Volkswagen Jetta. At our service center near Hacienda Heights, CA, we know that seamless car repair depends on the highest quality parts. We use genuine Volkswagen parts to guarantee the performance you’ve come to expect from your VW Atlas or Volkswagen Touareg, and maintain your VW warranty. If you do your own work, we carry a full inventory of VW replacement auto parts, identical to the components used at the factory. Browse service and parts coupons online to save even more on our already competitive pricing! Skip the appointment and drive into our Service Xpress bay Monday through Saturday for a timely oil change, air filter replacement, tire rotation, or battery check. 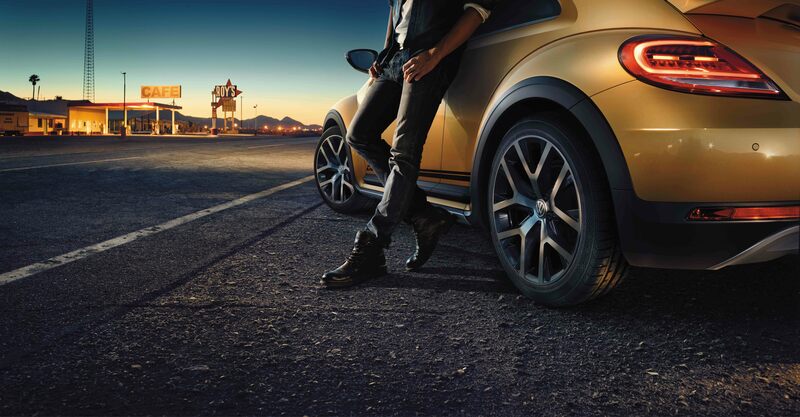 Our VW tire experts are here at Puente Hills Volkswagen to help you select the perfect tread for your vehicle and the way you drive. Visit our VW dealership near Hacienda Heights, CA, to meet the team!